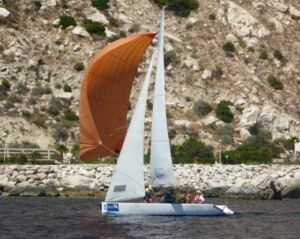 The day arrived, a glorious one at that, and my husband, John and I walked to the Real Club Naútico de Calpe. Everyone was friendly and welcoming, a good start. 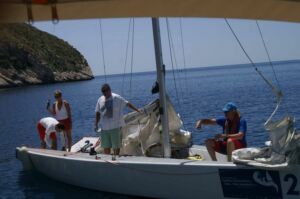 John and I were put on a TOM skippered by Dave, with experienced crew member José. Everything seemed so complicated – I wondered what I’d let myself in for! 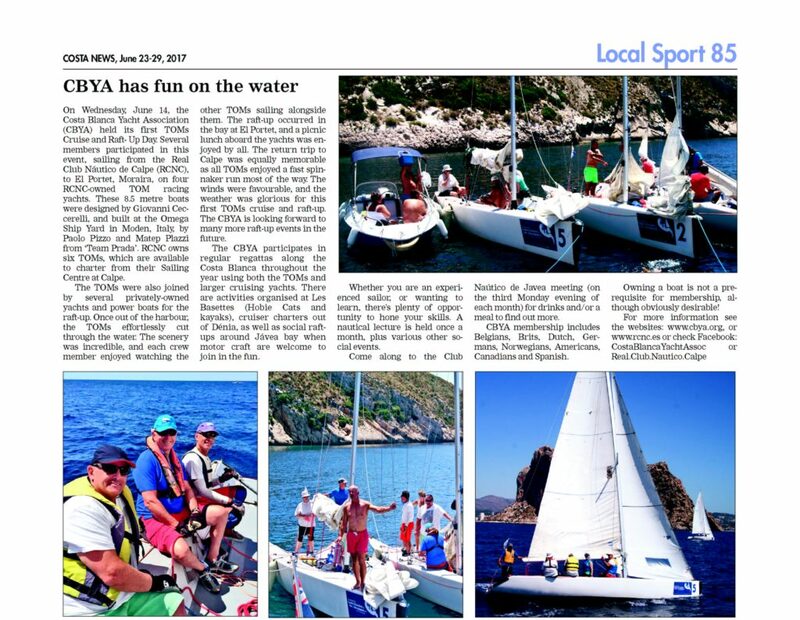 CLICK HERE to view the Costa Blanca News article! This all quickly changed. Once out of the harbour the TOM effortlessly cut through the water. The scenery around us was spectacular, and watching the other TOMs was incredible. 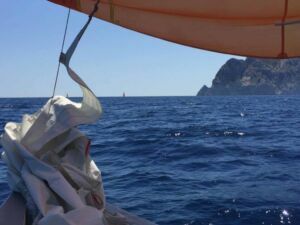 The time flew by and within two hours we were rafting up with the other TOMs and power boats at El Portet, Moraira. What can I say? … great company, and fabulous surroundings. Our sail back was equally fantastic. 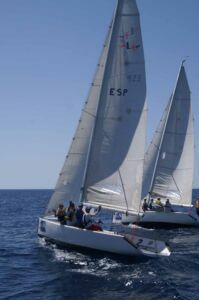 All the TOMs were sailing with their spinnakers which was a magnificent sight. It felt as though we were flying! I was really privileged to be able to fly ours. 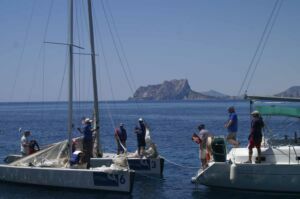 All too soon we were back in Calpe, de-rigging the boats. Thank you to Dave and José for being so patient and good humoured with John and I. 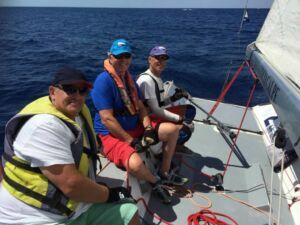 Thanks also to Jenny, the CBYA TOMs Co-ordinator, for organising the event, and thanks to everyone who sailed and made us very welcome – you helped make it a truly memorable day. Well done Lesley – soooo proud of you!!! 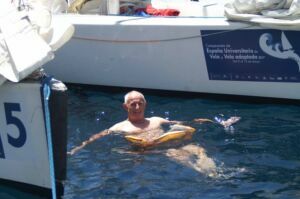 Really sorry we’re stuck in uk & couldn’t be with all U CBYAers for the TOMs’ raft up! Knew U’d all have FUN! Catch U next time….. Pity I could not participate. See you next time! Great comment And I totality agree. It was a fantastic day.